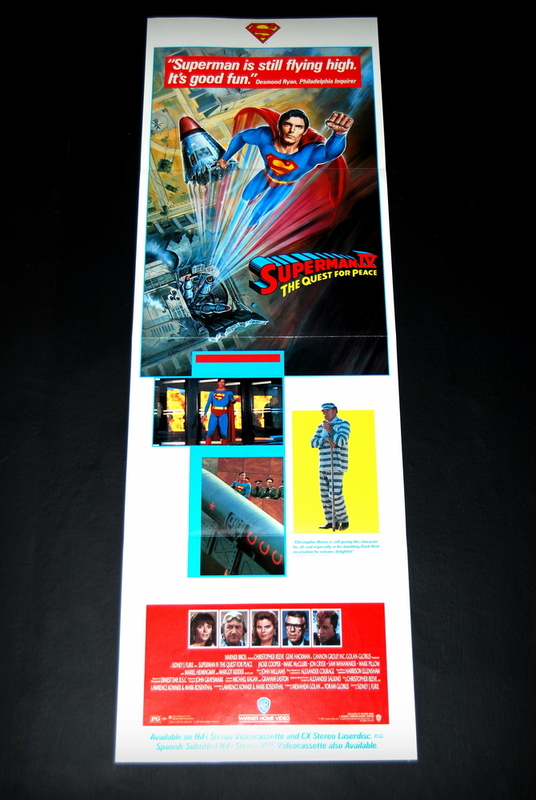 With their collective eye set firmly on the upcoming (and potentially very lucrative) 50th anniversary celebrations of The Man of Steel in 1988, Warner Home Video went the extra mile with promotional material including the fold out brochure shown above. As nice as all this was I just wish that they had put the same amount of effort in the film. Love the way the cleverly word it to make SIV look like a Salkind sized hit! SIV only contributed a tiny fraction of that 800m! 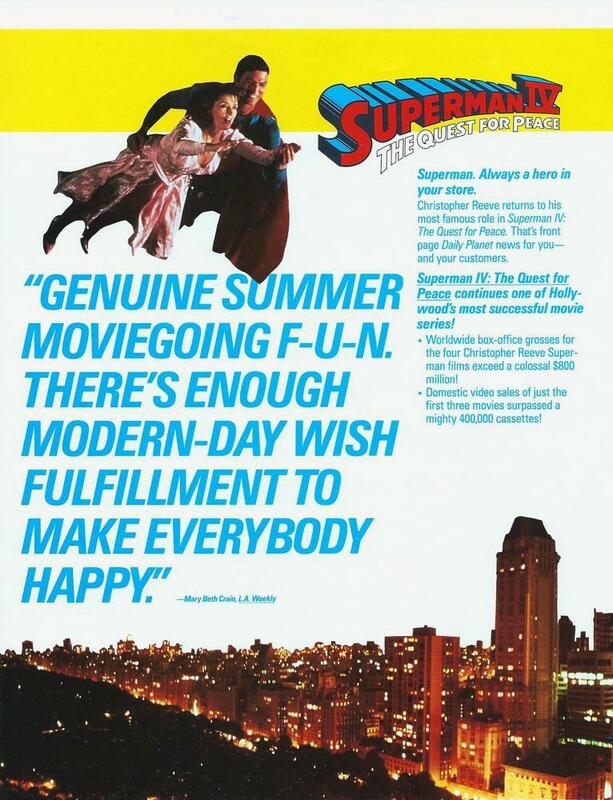 Boy, takes me back to a time when Warner’s actually still cared somewhat about Superman. Wish they had made the film with Reeve straight-up after the Salkind’s finished there 3 movies instead of letting Cannon Films buy the temporary motion picture rights. 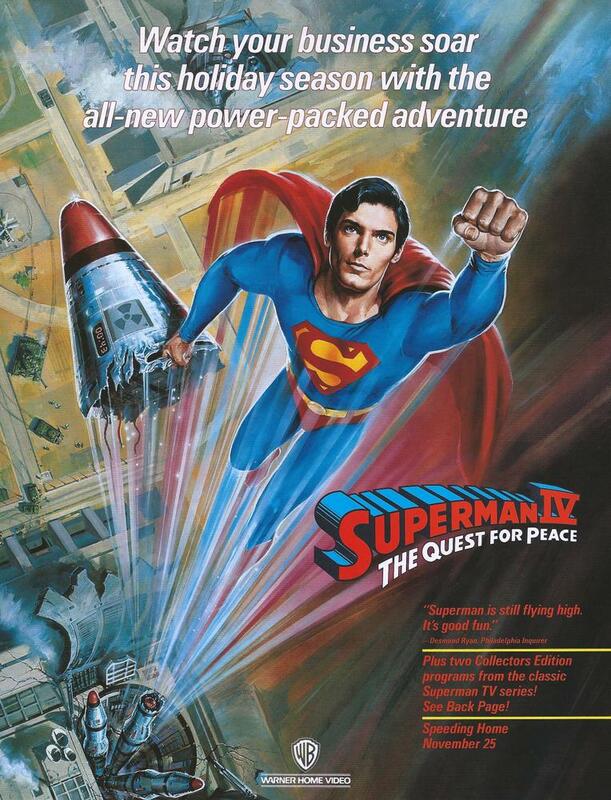 Might have been a Superman 5. What a shame. Love the covers though, . . . . great stuff. 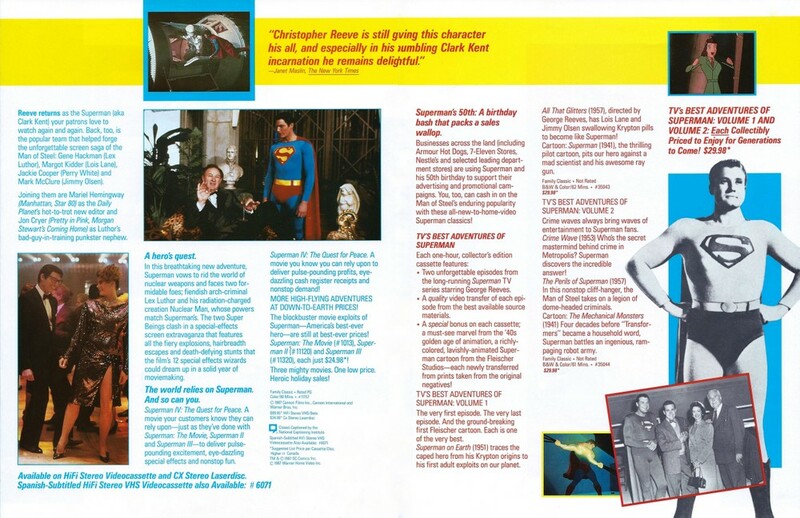 You don’t really see that kinda interesting promo material anymore.